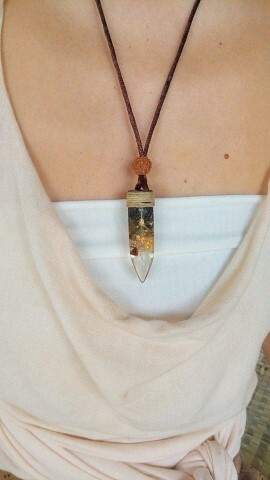 THE SYNERGY 12+ Pendant One of the most powerful jewels for spiritual growth and physical health. Completing the quest for the 12 synergy crystals learn more about it below. The 12 Synergy Crystals are some of the most powerful stones on earth. Satyaloka Quartz, Brookite, Herderite, Danburite, Moldavite, Phenacite, Petalite , Azeztulite, Tanzanite, Scolecite, Natrolite and Tibetan Tektite. 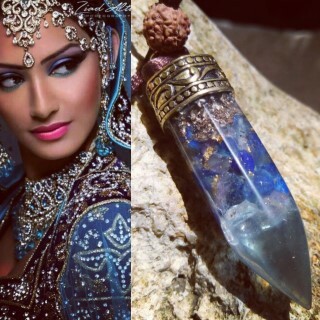 Satyaloka Quartz comes from in and around a monastery in South India. This site was chosen as one of a very high spiritual vibration. 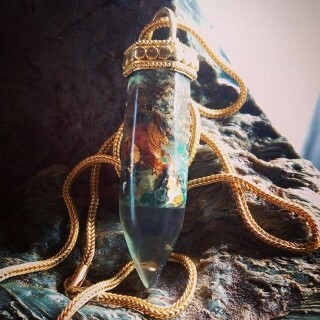 It has become a place where thousands come to seek inner enlightenment and connection with the higher self through amplification.As this crystal is connected with extremely high vibrations it serves to assist the user with ridding themselves of old stagnant frequencies. This has an effect of propelling a person out of an old environment and state of consciousness in to greater expanses. Satyloka also increases our bodies “spiritual antenna” allowing us to be much more perceptive of a subtle energies and forces. Brookite is a “Bridge Crystal” that succeeds in grounding the higher spectrum of our Chakra centers with the lower. Generally the third eye region of our spectrum is often confused about the activities and actions of the root region. Brookite allows more clarity between the higher and lower centers so they are able to work in conjunction with one another in full realization of their individual purpose. Brookite as a bridge crystal also assists those who primarily use lower Chakras in discovering the essence of their higher self. This allows us to begin to utilize energies that may have been hidden or obscure to us prior to utilizing it. Herderite is a “Brain Crystal” used to increase communication in the various regions of the head mainly the frontal lob. Herderite boosts abilities related to extracting information from invisible phenomena. This is also know as being Psychic.Herderite is also a crystal that can amplify its rare strength by being combined with other crystals. This makes it a perfect match for the synergy crystal set. Herderite specializes in dealing with behavioral issues as it promotes leadership. It is the “herder” of the lower energies leading them towards full realization. Danburite “The DNA Crystal” assists with the electrical/pranic flow of the body. 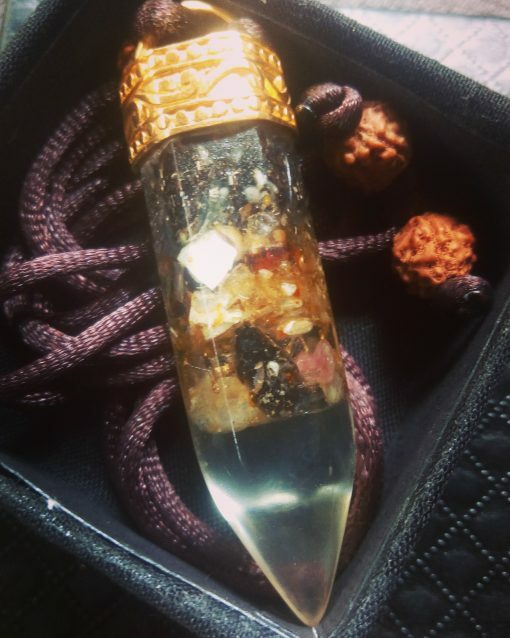 This crystals stores a great deal of energy that can generally be felt by even those who are not generally sensitive to crystal energy.As a DNA crystal it assists in correcting the coiling centers of the body through remembrance. It has been noted that grounding Danburite properly leads to an even greater amplification of its inherent force. You should always consider ground not as being lower but as a force necessary to obtaining the full generation of the crystal. Moldavite, “The Fast Forwarding Stone” is a meteorite with perhaps the most intricate history lore associated with it. As a stone that fell from the sky it is often referred to as a gem that fel out of the crown of an Angel. Moldavite’s properties are considered “other worldly” as it contains the essence of star dust and speace. In addition because Moldavite was superheated upon entry which makes it appear like bubbled glass, it also encases stardust and many elements not readily accessible on Earth. Moldavite can be seen as a manifestation or quickening stone but should come with a note of caution. If you speed up your existence be sure to align yourself in the proper direction before use. Phenacite the “Adaptability Crystal” has gained its name by often growing in the geometric shape and pattern of many other crystals. It specializes in giving one the ability to harmonize with other forms of self. 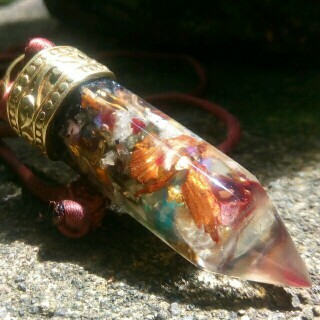 It is known to assist with “Alignment” allowing the abilities of the invisible Chakras to be obtained. Because of its principles Phenacite causes powerful visions and projections from the minds eye. It allows you to see beyond while still being clear on the actions that must take place to make visions become 3 dimensional realities. Petalite “The Dispeller” is a strong crystal utilized in repelling negative energies. It assists the body in remaining firm and grounded in a harmonic frequency. Petalite effectively balances yin and yang energies to avoid the results of imbalance in the system. These properties have made Petalite synonymous with being a protective stone. In this case the protection is gained by keeping your body out of lower vibratory non harmonic phases. Azeztulite “The Center of the Earth” crystal is second to only Moldavite when it comes to the lure surrounding this crystal. 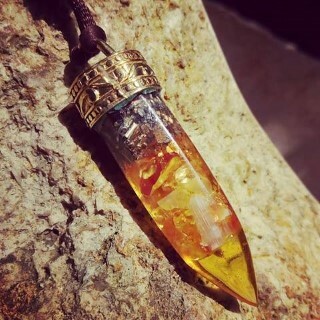 Made popular by a group of psychics claiming to channel a group of inner earth beings known as the Azez it has been often seen as one of the highest vibratory crystals. It becomes obvious to the Adept that the “center of the Earth” lure refers to those who have mastered their body/earth. Expect to gain self mastery over the physical side of self while also gaining connection with the depths of your inner being. Tanzanite “The New Beginning” crystal is only found in only one place in the world, Mount Kilamanjaro Africa. It is also considered a precious stone and often used in some of the most expensive jewelry due to its beauty. The occurrence which forms Tanzanite is known to be 1000x more rare than that of a diamond.Tanzanite’s metaphysical properties consist of energy related to clarity, newness, life, and freshness. It blue color is often associated with the Sky and the Ocean the birthing pools of most if not all organic life. For assistance with contacting the inner child and refreshed rejuvenated side of self, Tanzanite has come to the aid of many for that specific purpose. Scolecite “The Connectivity” crystal is seen as a crystal that has the ability to connect and network the paths of the inner self with the proper “tubular ethereal connections” the body is familiar with. Scolecite gets its name from the Greek term “Scolex” meaning a worm due to the geometric shape it forms in. It is important to be familiar with the geometry of crystals as it connects with not only the frequency but also the area of the body that the stone will be most effective. Scolecite is also known as the “Team Crystal” as it works great to connect crystals that may be of separate wavelengths. Natrolite “The Purification” crystal is a zeolite known to actually assist with the physical cleansing of the body. Many have reported sensation of feeling lighter and a floating off feeling once using Natrolite. Natrolite reduces physical swelling and water retention while also working to remove any fear one may have of water. Natrolite and Scolecite are from the same family and work in conjunction with one another to assist with the more physical needs that must be accomplish to establish a good body to crystal connection. Tibetan Tektite is the “Ground Control” meteorite assisting in establishing an ethereal form of communication between you and your crystals. These meteorites are often used to strengthen the energy fields of the body while allowing one to remain grounded in their experience. Let us all keep in mind that grounding is very important as it keeps the effects of loosing ones mind at bay. In addition when having strong spiritual experiences one may have a tendency to separate from everyone and everything. Grounding crystals give you the strength to interact with the lower vibratory frequencies while still holding your own higher harmonic. With all of our experiences here on Earth and beyond we must always remain in tune with the idea that what can be gleamed from the higher states of consciousness, also known as “the seeds”, can be planted in the fertile ground of the root Chakra to later arise as a well formed manifestation if it is cultivated properly.